Frontier IP Group (LON: FIPP), a specialist in commercialising university intellectual property, announced today that it is hosting an event jointly with the Royal Academy of Engineering on the evening of 8th April 2019. Announcements from Pulsiv Solar and Alusid have also been released this morning, which you will find below. Frontier IP, also announced today that Robert Bosch Limited has entered into an agreement to work with portfolio company Pulsiv Solar to optimise the design of the Company’s energy-efficient solar micro-inverter prototype. Frontier IP holds an 18.9 per cent stake in Pulsiv. Frontier IP, went on to announce that Parkside Architectural Tiles, the commercial arm of Topps Tiles plc serving the architecture and design market, is to launch an exclusive range of sustainable tiles made by the Group’s portfolio company Alusid. 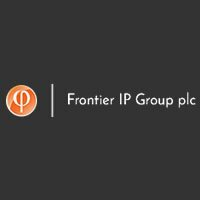 Frontier IP holds a 35.6 per cent stake in the Company.